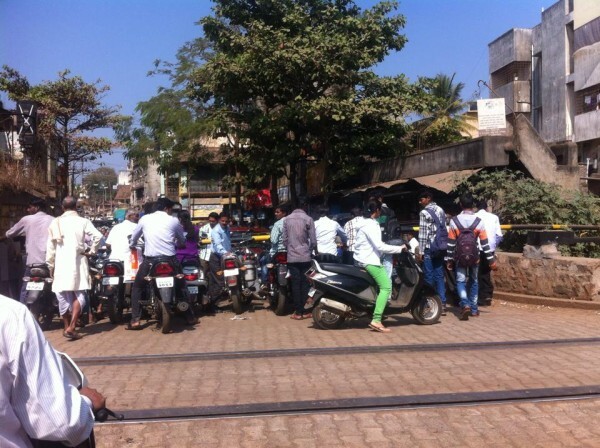 Many citizens were happy about the news that the long pending demand for the railway overbridge at Kapileshwar road would commence on February 23. But, it seems the lackluster attitude of the Railways department will force more delay in the work. The Railways have not given the exact details of the bridge to the City corporation and hence the corporation is unaware as to the exact need of land and which properties will be affected by this over bridge. The corporation has done an initial survey of the properties in the said area but as they done have the exact plan of the over bridge they are not sure which properties and to what extent they will be affected. The residents and the shop owners have also planned to approach the high court, as they say, they have already lost some part of their property in the road widening done earlier and now if again their properties will be demolished how will they survive. So with all this it seems the work on the over bridge will not commence on time and hence our wait continues. A simple solution to this problem is to try designing a flyover in such a way that the old road stays functional and the traffic who just want to cross the gate and go to Patil galli, ramlingkhind galli or Station road can use the flyover. Some innovative ideas need to come up to solve this chaos!